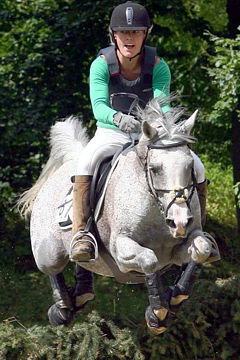 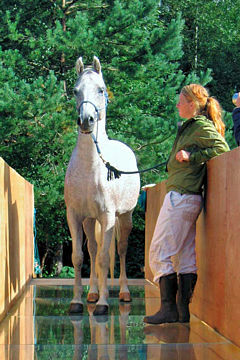 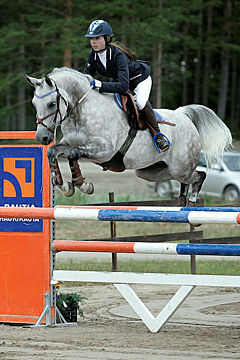 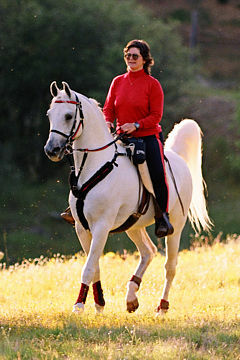 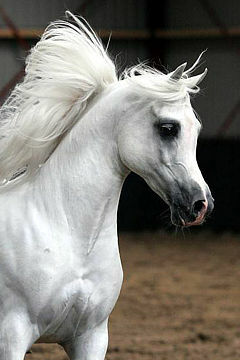 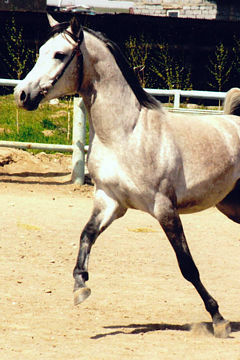 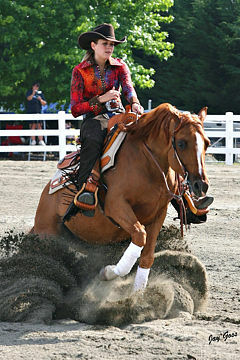 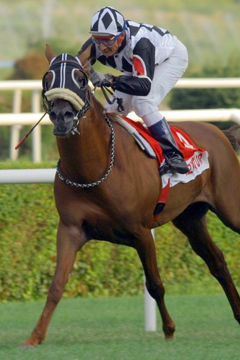 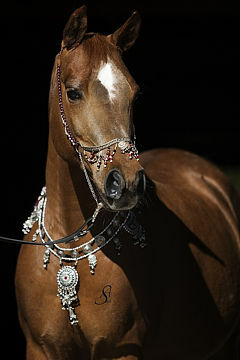 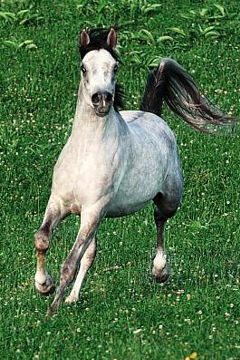 MEGAN ENWARA, Chestnut mare, *2006 (Abu Shadi [Problesk] / Enwara B). 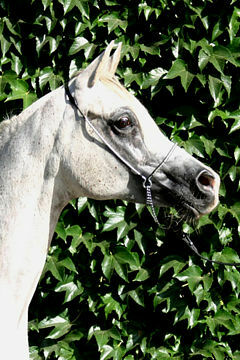 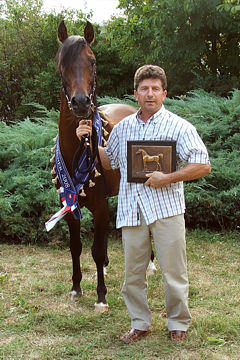 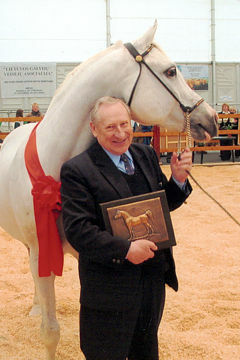 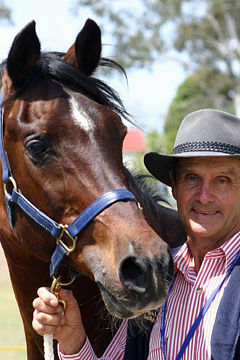 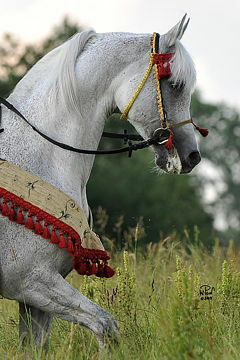 Breeder/Owner: Mr. Milenko Jovanovic, “Pegaz” 1st Croatian Stud Farm of Arabian Horses. 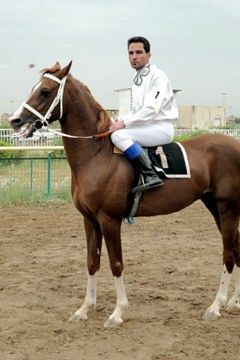 Strain: Seglawieh Jedranieh of Ibn Soudan (Ghazieh). 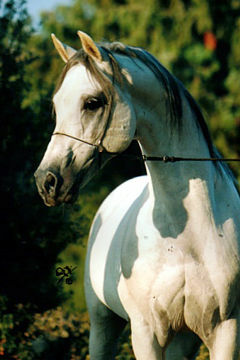 The Croatian Arabian Stud Book Authority has proudly announced their first ever winner of the WAHO Trophy. 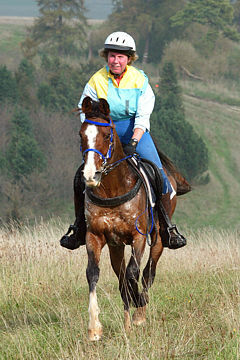 Since Croatia was fully accepted as a Registering Authority Member of WAHO at the beginning of 2009, they have been looking forward to making this award. 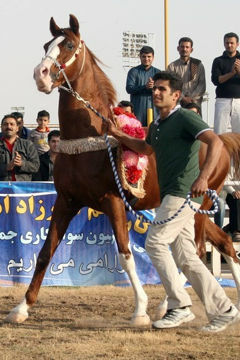 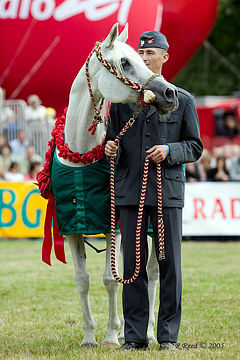 They decided to give their first WAHO Trophy on the occasion of their first Festival of Arabian horses, which took place in October 2009 in front of an international panel of judges and enthusiastic audience. 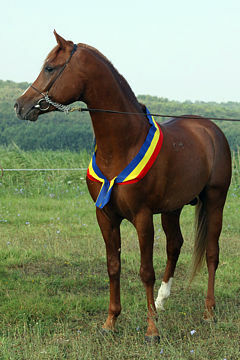 1/3 of the registered Arabians in Croatia took part in this event, and according to the decision of the judges, the best Croatian bred Arabian horse at the show was the attractive young chestnut mare, Enwara B. 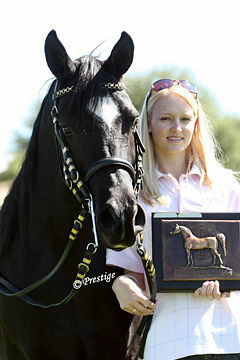 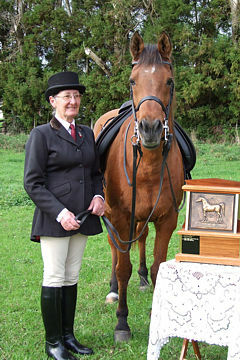 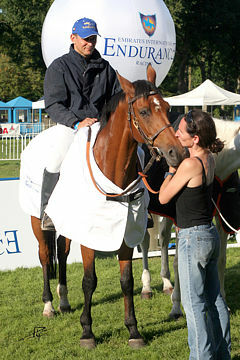 She was therefore awarded the inaugural Croatian WAHO Trophy, 2009. 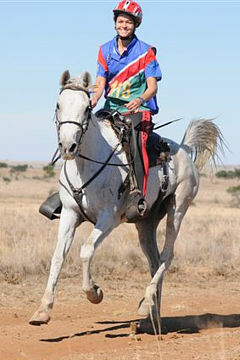 WAHO congratulates all her connections on this historic ahievement. 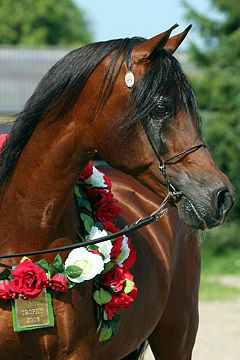 Her pedigree is predominantly Russian/Egyptian, being by the Balaton son Problesk (known in Hungary as Abu Shadi) and out of the Babolna-bred mare Enwara B, imported to Croatia from Hungary carrying Megan Enwara in utero. 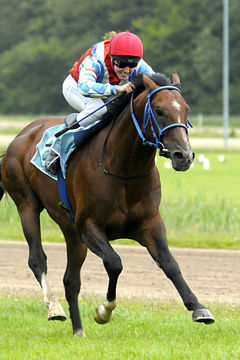 She is by the Russian-bred Magdan out of the Babolna mare 248 Farag II, herself mainly of Egyptian lines with a touch of Polish included. 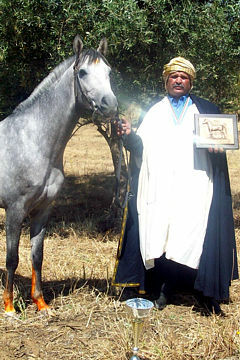 It is hoped that Megan Enwara will, in time, become an important broodmare for Croatia’s increasing Arabian horse population. 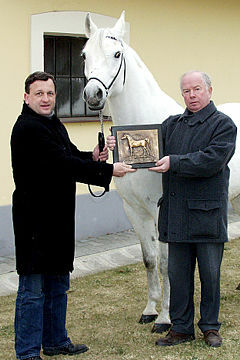 Luc Hendrix, Toto Moddermanand Janez Rus (judging committee).